During my time working on the MLB at under armour, I developed something of a fascination with the Oakland Athletics. In a league of blacks and blues and reds, the A's green-and-yellow color scheme pops. Their current uniforms, on the other hand, do not pop. Over the years, they've darkened the green and gotten conservative with the design. 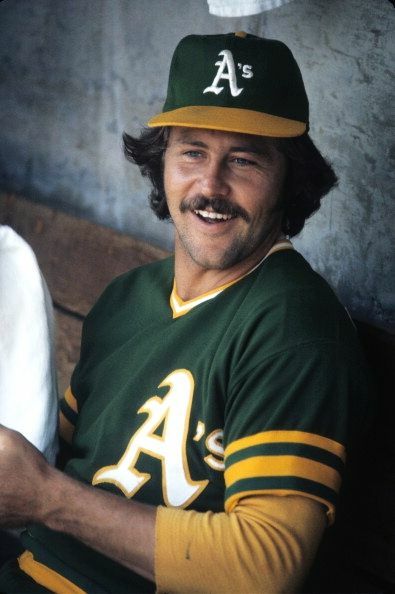 Back in the 60’s and 70’s, when Vida Blue, Catfish Hunter, and Rollie Fingers won back-to-back-to-back world series, things were much more interesting. With such vibrant colors and distinctive design, there’s no reason for the A’s to look like everyone else in a league known for being a little boring. Long story short, i think it’s time for a change. I designed a set of three uniforms that infuse a’s history into modern tailoring. The core idea is there’s no reason for Oakland to wear gray. 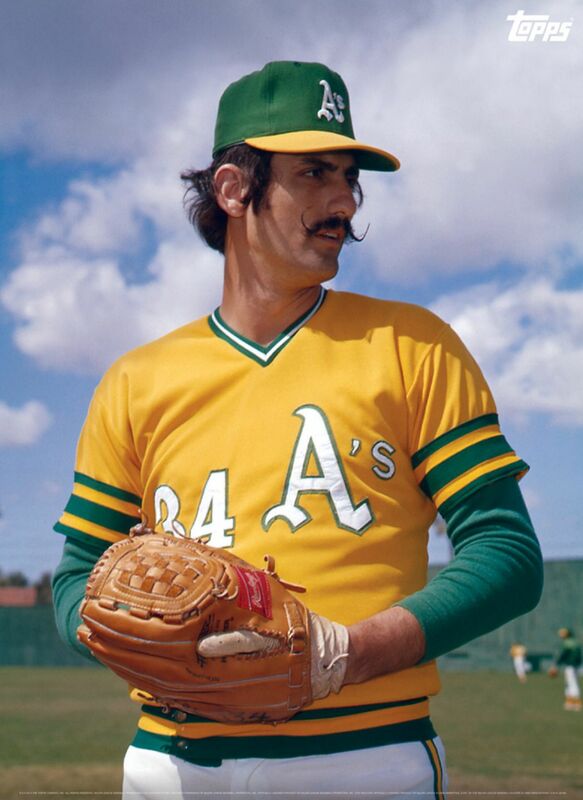 While it’s the standard road uniform color in the MLB, the A’s visual history is anything but standard. While gray is out, the white home uniform gets to stick around. The A's have a long, wonderful history with white elephants, memorialized on their sleeve patch. The whole set mixes elements from the current uniforms with throwback elements. Here, the contemporary Oakland script sits between color-blocked sleeves that recall the vest tops of the 1960s. The assortment includes a kelly green option with the A's logo at left chest. Again mixing new and old, the modern mark sits opposite numbers in the McAullife font, once linked with Oakland as it still is with Boston. The “OAKLAND” mark at the hem of the jersey reaffirms the A’s commitment to their home city and state. In a time where teams are leaving The Town, the A’s are an important part of the community fabric. Finally, the all-yellow alternate rounds out the lineup. It’s by far the boldest look of the three, but the most unmistakably A's. 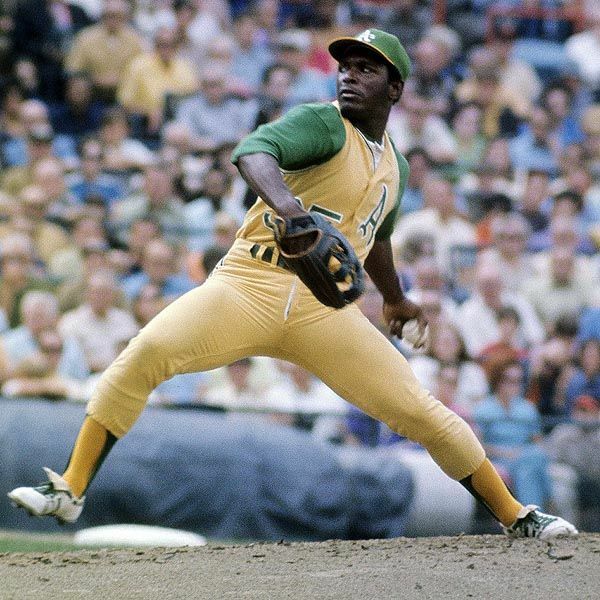 Pioneers of bold uniform design, the A's wore all-yellow as a matter of routine once upon a time. The signature yellow sanitary sock under a green stirrup is most at home with this uniform. Baseball has a reputation for being stodgy and slow to change. the A’s have, at various times in their history, turned that notion on its head. By mixing current brand elements with historical nods, they could do it again today.